"To solve problems of slowness and security of connection to our data in azurre." Participate in the management of a project where we migrated the datacenter to azuree and implemented the Azure expressroute for the quick and secure way to access the information in the cloud. High transmission speeds available (50 Mbps, 100 Mbps, 200 Mbps, 500 Mbps, 1 Gbps, 2 Gbps, 5 Gbps, 10 Gbps). The implementation was quite simple and we had the support of the provider at all times to clarify the doubts we had. High levels of service SLA. Reduce the latency of transactions when searching for information or uploading to azure, example in the project we had a core application that sales executives consulted customer information and that application was uploaded and before using azure expressroute the latency for consulting the info was almost 10 seconds and with the implementation of azure expressroute we managed to lower it to 3 seconds, helping to avoid that specific problem that had generated a lot of noise. It has a very high cost, but depending on the type of information in our case it was for core applications of the company turned out to be the best solution. If they have latency problems, or secure access to the information they have in azure, it is an expensive solution but it gives us the peace of mind to accelerate the times by improving the performance and security of the private connection to avoid losing data. Have a private connection between the company and Azure that gives us speed and security of the connection and data. The connections are redundant, which means that we have high availability. Azure expressroute has a limit of simultaneous circuits (10 in total) more than enough, I take it as a non-extraordinary benefit since we can have several circuits with a single subscription and if it requires more than 10 I think you can ask the provider an extension. 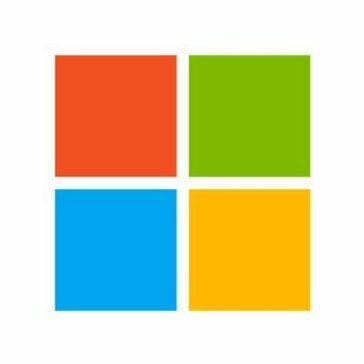 It allow us to setup a dedicated network from our onpremises to Microsoft Cloud and Data center over a private network channel. Less chance to hack or breach your data. It is quite difficult to investigate when the connection between MS Data center and our on-premised lost. To overcome this problem, we have one primary express route and other Secondary route to avoid such issue. It will help your organization to set-up a private channel to connect with MS data center and your on-premisis networkj. 2. We can connect to MS service from anywhere in the world. The ability to integrate our On Prem infrastructure to cloud and most importantly the connectivity and performance was awesome. "Microsft Edge Network - ExpressRoute "
Expressroute Microsoft one of the VPN solution. Expressroute offereing best features to connect the on-premises with Azure CLoud seemlessly. Expressroute - We can avail the with our reqired bandwidth pipeline (Private connectivity) to azure Data center. Private and Public cloud integration easy. Cost is more compared to tradinal VPN solutiion. Hybrid Data center easy by express route. Efficiently we can use the Private Cloud and Public cloud. Hybrid Data center connectivity between On premises to Azure Data center. Microsoft Azure ExpressRoute let us work very smoothly and freely. It help us to credit and add large data and help us go grow your business. It help us to connect with your customer and help us to resolve their queries. My team really enjoyed this service Everytime whenever they go for some data audit and self service. Sometime this service get freezes while uploading larg data and takes time to edit them. Otherwise this software is very much usefull and easy to use. To maintain our data and to provide services to my customers. "Excellent tool for data migration"
While the connection improves, on occasion it gets a bit slow. I thought it was a good tool and although I have not used it 100% it has helped us a lot in terms of the segmentation of our database. This tool has streamlined the segmentation of our database as it improves the connectivity of them in a secure manner. "Finally, geographically distributed replica set"
Well, we actually have our data cluster distributed in three different regions across the USA, actually, we've 7 nodes, and maybe in the next outage, we'll stay prepared to affront the downtime of several places of one o two of our Cloud Providers. Maybe the setup could be more intuitive, like Shared VPC in Google Cloud. Well, we're prepared for our Business Continuity, and our customers will be happy about that. We have our datastore always online and always connected. provides an efficient and scalable way for you to connect directly to Microsoft Azure. It makes provisioning, managing and maintaining Cloud connectivity infrastructure simple and reliable with guaranteed end-to-end Quality of Service across the globe. Best thing i like about this is the max bandwidth that we can achieve that is as high as upto 10gbps. Very useful tool for backing uo database in case of disaster recovery and all. Except pricing thing , i almost like about each and everything about this. Price is littlebit on higher side according to me. "The only way to connect to Azure if you're using for a business with staff on premises"
The cost is quite a lot and the different tiers can be confusing. As a result of implementing Azure ExpressRoute we have been able to speed up our Azure adoption. I love how intuitive the interface is. It is very easy to use. Fast VPN connection.. good security. I loved how this works. It was really intuitive and worked amazingly. It was a bit hard to use to start off, but it got better. service that lets you create private connections between Microsoft datacenters and infrastructure that's on your premises or in a colocation facility. The layout of the software is very nice and the user interface is amazing. Sometimes it can crash unexpectedly which can make it unreliable at times. I have realized the benefit of quick and easy use for my workforce and I’m solving the business problem of helping customers. The dashboard is easy to use for an IT beginner and the software is efficient. Need more global access locations in North America. This keeps my data secure! My company is at ease knowing our data is safe. * We monitor all Azure ExpressRoute reviews to prevent fraudulent reviews and keep review quality high. We do not post reviews by company employees or direct competitors. Validated reviews require the user to submit a screenshot of the product containing their user ID, in order to verify a user is an actual user of the product. Hi there! Are you looking to implement a solution like Azure ExpressRoute?